Apple has written to the company which claims it owns the trademark to the iPad name in China, threatening to sue for defamation if it continues its campaign to have the tablet banned in the country. The bankrupt Proview Shenzhen electronics company says it, not Apple has the rights to the iPad name in China and is demanding a huge pay-out from the manufacturer. Cupertino insists it purchased the rights from Proview back in 2009. Proview earned a minor court victory on Friday ensuring that the tablet be pulled from select stores in China's Guangdong province but plans to take its claims to 40 other cities across the country. In response, Apple has gone on the offensive, telling the company to stop the lies or face the consequences. In a letter emailed to Proview's chairman, Apple's legal representatives in Beijing write: "As you are well aware, Apple's holding company IP Applications Development ... legally purchased all the rights to the ten iPad trademarks owned by Proview ... specifically and expressly including the two trademark rights registered in mainland China by Proview Shenzhen." "Proview Shenzhen and its agents continue to make statements about Apple to the public which are false and misleading" -- to wit, that Apple cut a deal with the wrong company. 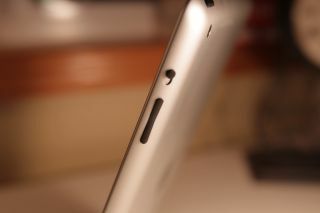 Proview has asked several regional Chinese courts to ban iPad sales until Apple pays the $1.6 billion it demands. "On behalf of Apple, we formally reserve all rights to take further legal action against any individuals and entities for any damages that may result from defamatory statements and unlawful actions intended to wrongly interfere with Apple's business and business relationships."